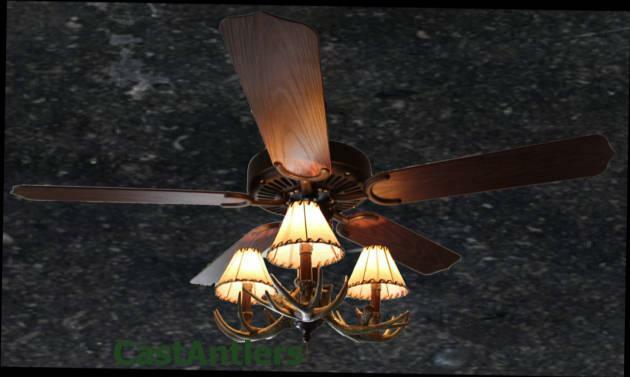 Fan includes antler light kit w/ Burnished Bronze finish, fabric shades, 4" downrod and mounting hardware. 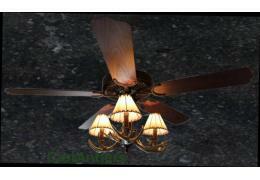 Fan has Roman Bronze Finish with American Walnut Blade finish. 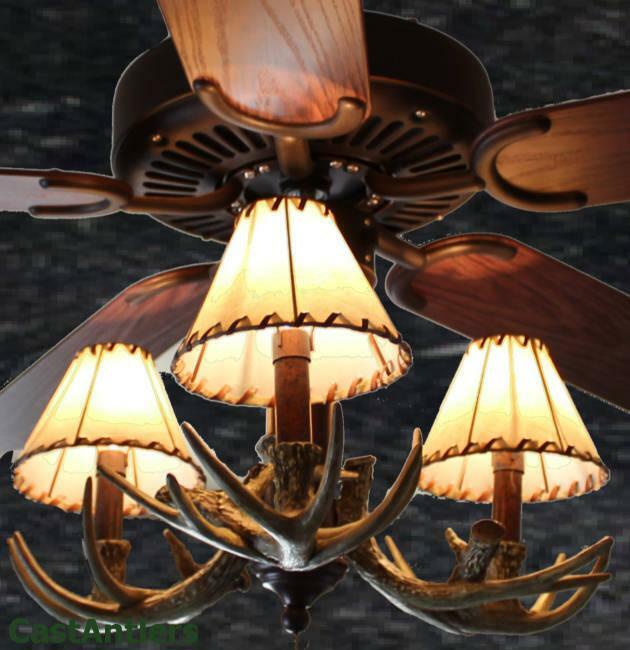 Antler light kit uses 3 x 60W Candelabra bulbs. UL Wet Rated for outdoor or indoor use. * 12 degree blade pitch for optimum air movement. 3 speed, reversible motor.